This beautiful apartment is 3brm 2bathroom. My husband and I own the flat and are renting out 2 rooms at $220 per room per week. It has a built in wardrobe, fan and air conditioning available. The apartment and rooms are furnished with double/queen bed (pics were taken before we moved in). The apartment is modern, and has a balcony that overlooks the resort style lagoon pool and is just a stroll from the beach. The resort has bbq facilities and a heated spa also. Rent includes gas, electricity and internet. Large swimming pool with spar ,BBQ , roof top sun deck ,opposite the beach , bicke traks , Coles Shopping Centre walking distance, 2min. to Bus link to Kingscliff ,Coolangatta or Pottsville. 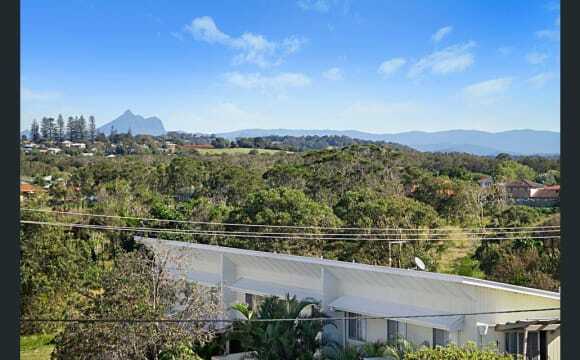 The property is situated in a quiet street in Kingscliff and backs onto a nature reserve. Enjoy the spacious tiled porch and relax to the sounds of wildlife at your doorstep. 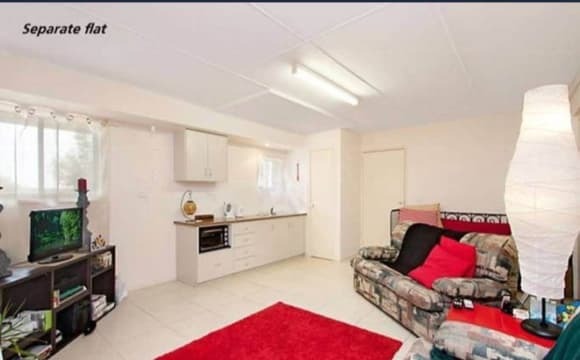 Also close to: Beach 5mins walk Shops and pub 5mins bikeride Kingscliff town centre or Tafe 10mins bikeride or 5mins car. 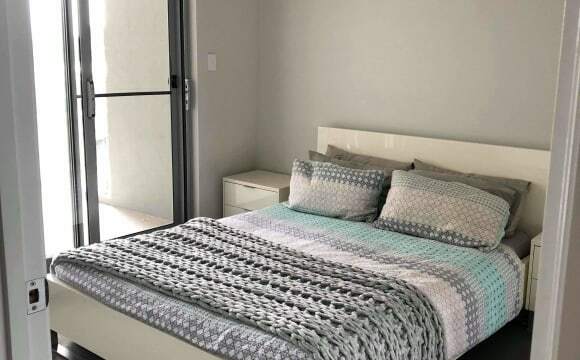 The bedroom available has its own ensuite, large double sliding door wardrobe, access door to private courtyard, tv aerial socket, large shower recess, toilet, and generous sized marble benchtop sink. Close to creek. Quiet neighbourhood easy going owner Walk to beach and town. Great cafes and restaurants and one awesome juice bar! Great location! Right in town, close to cafes &amp; shops. Straight across the road from the beach, and close to Woolies supermarket. Smoking is ok on the front or back varandas. Available now, call or message to view the property :-) Bedroom has an inbuilt cupboard, and a bed also. Great neighbours, and parking out back. 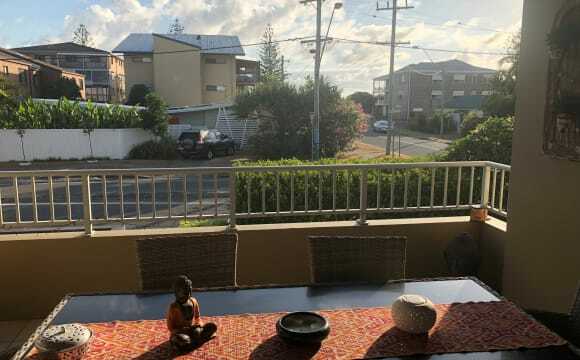 * 1 room available from june * Open living space downstairs, has natural light and breeze coming through, quiet complex, close to beach and shops, 15 min from airport, SCU and gold coast beaches, 5 min from TAFE, 35min from byron bay. Average size room with a large wardrobe and plenty of natural light. Sorry no pets. Single level and clean 2 bedroom villa with generous backyard. 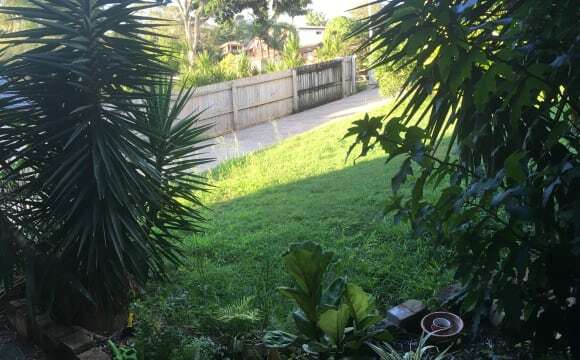 Close to shops, beach, public transport situated in a quiet street. 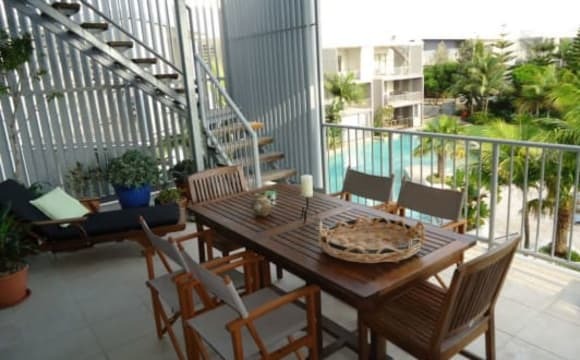 1 bedroom available with own bathroom on top floor central Kingscliff. Amazing views, multiple terraces, aircon in main room. Ocean and mountain views from our private roof top terrace. Price is for one person :) We are open to short stays aswell. The unit is a 2 minute walk from the beach, close to shops and the bowling club. Perfect location. Room has a fan and built in wardrobe. 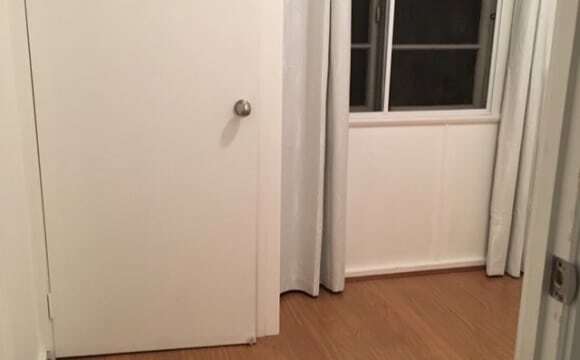 I'm offering my spare room in my beautiful beachside apartment in Kingscliff... It's 2 min walk to the beach, apartment has its own pool, it's spacious, with a patio and a courtyard, which is accessible from your room. You will have your own bathroom, garage is also negotiable. The room is furnished, so you just need your toothbrush 😉 It's a great space. Female only, preferably over 25 The house is a calm sanctuary with conscious housemates. Best suited to a vegan or vegetarian non smoker with no pets. Sharing with 2 other females and sharing a bathroom with 1 Room is unfurnished with a robe The rest of the house is furnished, there is no room for other furniture. The kitchen is fully equipped Electricity, water and internet are included. 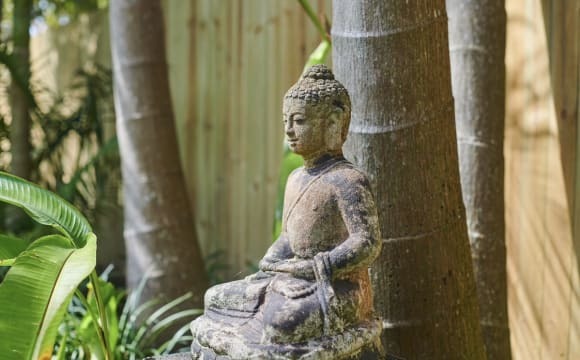 Also included are a lot of the communal items toilet paper, washing powder etc Big verandahs to chill out or yoga self practice and backs upto nature reserve. Short walk to the beach, cafes and supermarket. Bus stop is at the end of the street going to Tweed Heads and Pottsville Must love dogs and be able to interact with a small dog which is both inside and outside Not suitable for children. No couples. The unit is handy to everything and in the heart of our little seaside village. It’s also right on the beach. Local shops, cafes, Surfclub, and Woolies are right on our doorstep with a bustop few steps away. We currently have some views of the ocean from the main balcony (for the moment whilst they building close by). You can also hear the waves as well. Nice peaceful building with very quiet neighbours who don't entertain. There is ample outdoor parking around. Rent includes electricity and cleaning products. Excludes internet. The beach is literally across the road. There is fitness workout areas along the whole beach. There are dozens of cafes just 1km down the road. 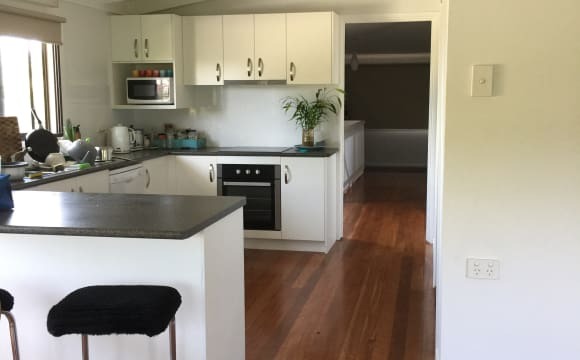 This is a self contained, newly renovated, fully furnished, private and secure granny flat/studio with private entrance under the main house.. Includes use of pool, unlimited wifi and conveniently located close to beach, river, shops, cafes and public transport. 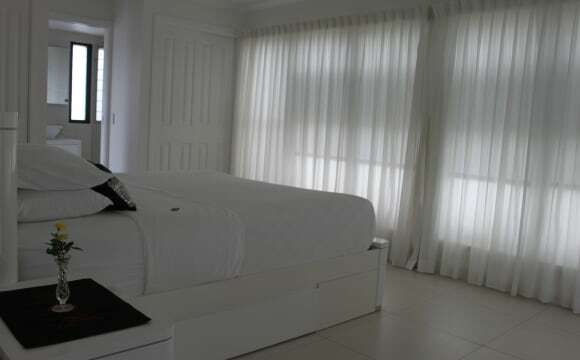 1 comfortable furnished room available in large 4 bedroom home. You will have use of the large main bathroom to share. bills are all included in rent. Must be working and have own transport. 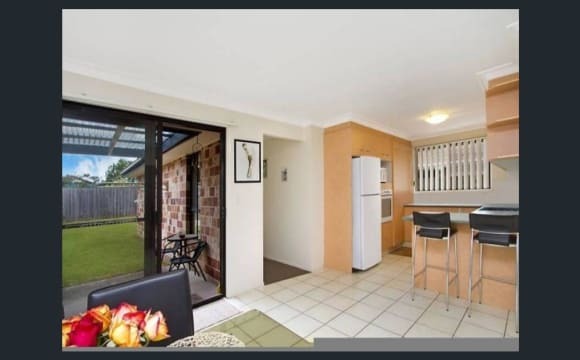 We are Close to the M1 motorway so easy access in both directions and we are 5 min from Cabarita beach. Perfect for student or professional. 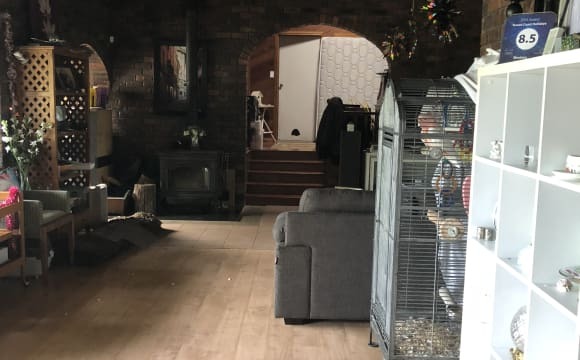 Huge open plan home, you must like animals as we have 2 dogs, 1 bird, 3 cats, 4 peacocks , 2 chickens and 2 jersey cows. This is not a party house and no drugs, Sorry we are not accepting anymore pets! great place to live if you like a spacious house and good people who respect each others privacy. Look forward to meeting you! Quiet street , quiet area , just off M1 .. A owner occupied house .Self Contained flat downstairs plus a room upstairs .. Internet extra... Female only ..
All super chilled and cruisey , always out and about ! We hardly see each other 😂 Room has 2 access points , furnished if required , with bed and side tables included, it has a inbuilt wall drobe and ceiling fan , air on other side of room in hallway . Only sharing bath room with 1 other . We are 32 yr old female and 26 ur old female, 30 ur old male . 2 storey house , I live (32yr old) and work down stairs doing floristry so you are generally sharing just with the 2 others , 1 does day/night shifts so generally out and has her own ensuite. There are 2 rooms available (one being built on the top level currently). Mini car park at the back of the house. Over looks the Banora golf course. Very quiet neighbourhood. Internet available. Ample storage underneath the house.